(Macon, IL) Macon Speedway and George A. Mueller Distributing present the Miller Lite Beer Twin 50’s this Saturday, August 10 along with 106.7FM The Fox and Dale’s Southlake Pharmacy. Dale’s Southlake will also be helping to raise awareness for the Wounded Warrior Project. The night’s program will consist of two 50-lap features – one for The Midwest Big Ten UMP Late Model Series and the other 50-lap feature will be the Billingsley Towing UMP Modifieds. This will be the fourth showing of the Big Ten UMP Late Model Series at Macon Speedway. In the Midwest Big Ten Series, each of the ten races will include larger winnings to the winner of the feature. At the end of the season the points each driver has accumulated in 8 out of 10 races will be totaled and there will be $5,000 distributed throughout the top ten Late Models with the top point fund winner taking home another $2,000! As of now, Steve Sheppard, Jr. is in first place with a two-point lead over Matt Taylor, and six points over Brian Dively. With only three races left in the series, it will be a toss up to see who comes out as the champion. In the Billingsley Towing UMP Modifieds, Guy Taylor leads the division by only eight points over Danny Smith, followed by Jeff Graham, Eric Hamilton and Joe Strawkas to round out the top five. Divisions included in the rest of Saturday’s racing program are UMP Sportsman, UMP Street Stock, UMP Outlaw Hornets and Stock Hornets. Grandstands open at 5pm with racing at 7pm. 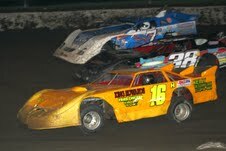 (Macon, IL) Our sponsors of Dynagraphics Impressions, Donnelly Carquest/ATI, made for an exciting night of racing. Nascar Star Tony Stewart was also on hand and raced in the MOWA Sprint Feature. In the UMP Street Stock 15 lap feature, Bobby Beiler and Terry Reed improved their finishes from last week to place first and second respectively. Kevin Crowder held out for third while Gene Reed finished fourth and Michael Pundt, Jr. took home fifth. The Billingsley Towing Modified feature event was full of excitement throughout the 20-lap event. With numerous cautions, the starter from pole position, Tommy Sheppard, Jr. was able to take home the checkered flag and again, Guy Taylor finished second. Kelly Kovski, TD Burger and Randy Huffman rounded out the top five. The drivers in the MOWA Sprints completed a 25-lap feature event. Of the 18 cars that started the race, only 12 crossed the finish line. Jerrod Hull placed first followed by Jimmy Hurley, AJ Burns, Tony Stewart, and Jim Moughan placed fifth. 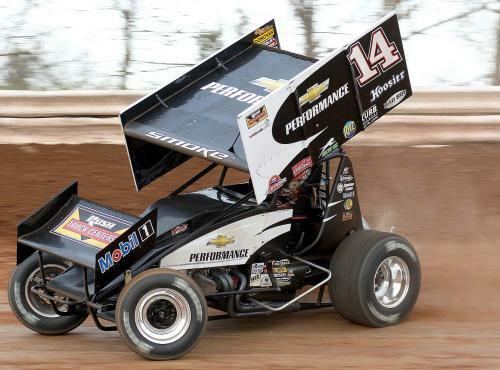 This was Tony Stewart’s first effort at driving a winged sprint car on the 1/5 mile high-banked track. Stock Hornet driver Brian Deavers started in pole position and also brought home the checkered flag. Adam Webb dropped to second place this week. He was followed by Donnie Justice, Jeremy Reed, and Billy Justice, Sr.
A 20-lap feature was in store for the 20 Mini Sprint racers that competed. There were many spin-outs throughout the race. Jeremy Camp finished the race in first place. He was followed by Jason Harms, Nic Harris, Jake Newman, and Shelby Bosie. The final race of the evening was an eight lap feature of the Outlaw Hornets. It was won by Brian Deavers. Adam Webb came in a close second followed by Donnie Justice, Jeremy Reed and Billy Justice, Sr. rounding out the top five. Macon Speedway will not race stock cars on August 3rd due to go-cart racing. We will return on August 10th with FOX 106.7 FM Radio Fan Appreciation Night. Also rescheduled for the evening will be the Miller Lite Twin 50’s BIG TEN UMP LATE MODEL RACE. HIGHLAND, Ill. (July 23, 2013) – Midwest Open Wheel A ssociation’s (MOWA) Illinois Sprint Week returns for the third consecutive year, Wednesday, as it kicks off at Highland Speedway, Highland, Ill., and ends at Macon Speedway, Macon, Ill., Saturday. Besides Danny Smith who is expected to return to defend his championship, the week looks to be dotted with stars who plan to either run the entire series or part of it as it kicks off Wednesday. Multi-time NASCAR Sprint Cup Series Champion and former USAC champion Tony Stewart will be racing the week’s final stop at Macon Speedway. Stewart will have a busy week in the Midwest, and plans take time to make his first appearance with the MOWA series. Bryan Clauson will be racing with a wing for just the second time in his career. Clauson is a multiple time USAC champion and an Indy 500 veteran. He will be running the Pollock Racing 21x machine during the, Friday, Jacksonville Speedway stop. Greg Wilson, who ran the Fox #53 at Tri-State Speedway earlier this season, will be making appearances on the first two nights of Sprint Week in the same car. The Fox #53 is well known in non-wing ranks, but threw the wing on for one of the first times in team history with Wilson behind the wheel in June. Wilson drove the car to a third place finish that night in Haubstadt, Ind. For the second straight year, Highland Speedway opens the festivities as part of the Madison County Fair. With two-time, and defending, Illinois Sprint Week champion Danny Smith expected to be in attendance. Also, current MOWA point leader A.J. Bruns will be on hand along with the rest of the MOWA regulars. Smith kicked off the 2012 Sprint Week with a win in the first appearance at the track for the series last season. Thursday marks the third visit for the MOWA series to Tri-City Speedway, Pontoon Beach, Ill. It is the second year Tri-City Speedway has been part of Illinois Sprint Week. The track was not part of Sprint Week in 2012, but was part of the event in 2011. Danny Smith won in that appearance, helping to secure his first Sprint Week title. Jerrod Hull won the last MOWA series race at the fast 3/8th’s mile in October of last year. Known as MOWA’s home track, Jacksonville Speedway is marking it’s third straight year as part of Sprint Week, as it hosts the Herb Barlow Memorial on night number three of Sprint Week 2013, Friday. Brian Brown won last year’s stop at the 1/4 mile during Sprint Week. 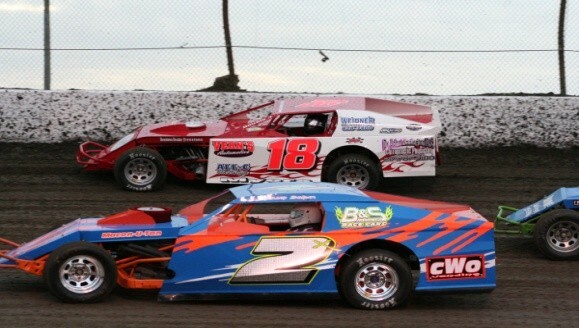 Smith and Jimmy Hurley have already won feature events at Jacksonville Speedway with MOWA in 2013. The only other track to be a part of Sprint Week for the third straight year is Macon Speedway, which ends the four night swing of races for the second straight season. Last season’s event was won by Danny Smith and went green to checkered after a first lap caution forced an original restart on the 1/5 mile speedway. Hull won the 2011 event at Macon Speedway. For more information about Sprint Week and the MOWA series visit http://www.midwestopenwheel.com/. Also, fans can visit our Sprint Week tracks at http://www.highlandspeedway.com/, http://www.tricityspeedway.net/, http://www.jacksonvillespeedway.com/, or http://www.maconracing.com/, for more information on each event. In an effort to bring racing to a more level playing field amongst competitors as well as a more competitive show for the fans, Macon Speedway and Paducah International Raceway have decided on tire rules for the Modifieds and Street Stocks. Generally when rules are made they are set out and enforced immediately. Rather than make changes abruptly we have decided to apply them on a gradient scale. The allotted time frame for each phase of this rule will allow drivers time to use up the tires they may already have and also give them a time frame to get the approved tires they need. After June 14th thru July 19th—Only A’s or H’s will be allowed on Right Rear. No D’s on Right rear. Left Rear and both fronts D’s, A’s, or H’s will be allowed. After July 19th—–Only A’s or H’s will be allowed on Right Rear and Left Rear. No D’s will be allowed on rear of car. D’s, A’s, or H’s will be allowed on fronts until further notice. We truly feel this will increase the level of racing action that can be provided to the race fans. As well as prevent drivers from the expense of the D tire being purchased on such a regular basis. Putting drivers on a more level field will only contribute to better racing!